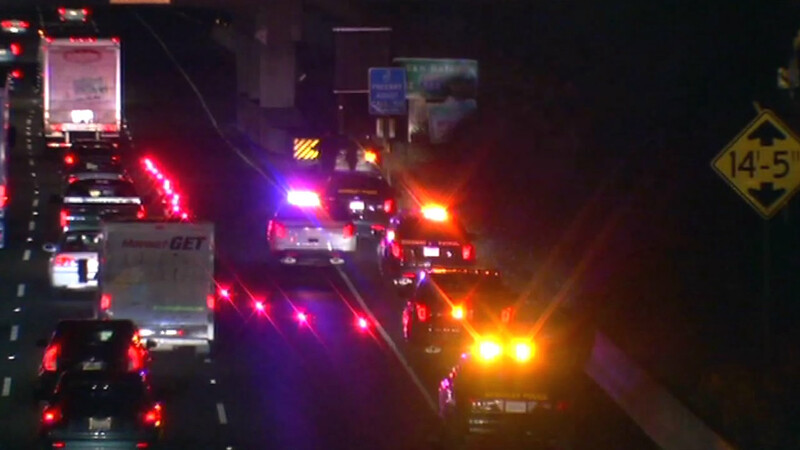 BERKELEY, Calif. -- A family of three that was shot at while driving on Interstate Highway 80 in Berkeley Tuesday night did not realize what had happened until police found a bullet in their car, a Berkeley police spokesman said. The family of three, which included a woman in her 60s, a woman in her 30s and an 8-year-old child, were driving east on I-80 between Ashby and University avenues when gunfire shattered their vehicle's window, according to police. "They actually thought they had gotten into a traffic collision, and they pulled over and called for help," Berkeley Police Officer Byron White said today. It was only when police arrived on scene that they found the bullet and realized what had actually occurred, White said. The woman in her 30s was injured by the glass and taken to the hospital for treatment of injuries not considered life-threatening. Berkeley police are investigating the incident along with the California Highway Patrol. White said the family is not aware of any traffic collision or confrontation prior to the shooting, and police do not have any suspect information at this time. The incident was the third shooting on the same East Bay highway this month. On Nov. 10, 25-year-old Athonio Ragland was shot and killed while driving an Audi on I-80 in Pinole. A female passenger was also injured in the shooting. On Nov. 2, a man was found suffering gunshot wounds in a Hyundai Elantra on an I-80 shoulder in San Pablo. CHP investigators are looking into the possibility that the prior two shootings on the highway are related, but Officer Daniel Hill today said that his office is not investigating any link between those shootings and last night's incident in Berkeley. White said it was "too soon to say" whether last night's shooting was related to any other incidents. Anyone with information about Monday night's shooting has been asked to contact the Berkeley police homicide unit at (510) 981-5741.